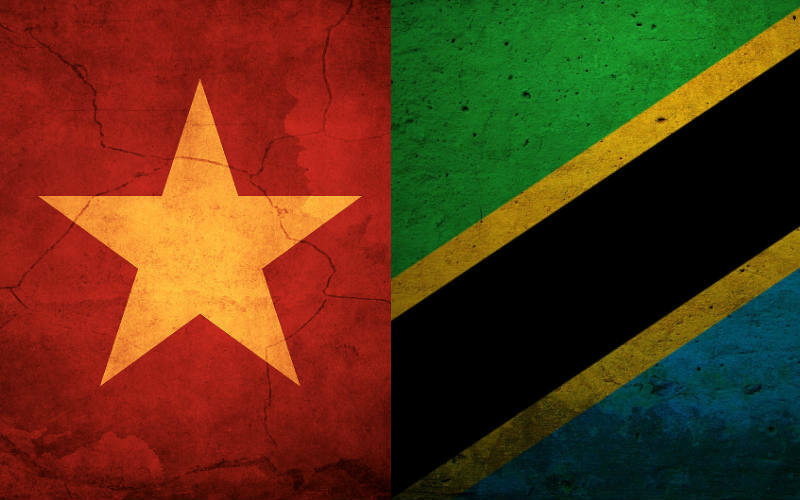 Tanzania and Vietnam maintain diplomatic relations since 1965; Vietnam has an embassy in Dar es Salaam which is mandated to serve all of East Africa. In 2014, trade volume between Tanzania and Vietnam was around USD156m with Vietnam exporting over USD105m worth of goods to Tanzania. Main exports from Vietnam to Tanzania include cement clinker and rice. Tanzania is the second largest buyer of Vietnamese rice after the Philippines. In 2015, trade volume between the two countries rose to USD205m thanks to an increase in exports from Tanzania. Vietnam is the second largest buyer of Tanzanian cashew nuts and the third largest buyer of raw cotton. In March 2016, former Vietnamese President Trương Tấn Sang visited Tanzania to strengthen bilateral trade relations between the two countries and increase trade volume to USD1b by 2020. The President was accompanied by various Vietnamese business men who examined the investment atmosphere in Tanzania.